Imagine yourself as a construction worker. Surrounded by drilling and hammering, the loud noises mean that protecting your ears is a priority. But when your co-worker needs to talk to you in the midst of this, you can’t hear them without taking off your hearing protection, leaving you vulnerable to hearing loss. They’ve developed a “smart” device, called SonX, which is designed to block loud noises while allowing the wearers to clearly hear each other’s speech through the earpiece itself. It uses noise-blocking ear plugs fitted with advanced in-ear microphones. The protective hardware also allows employers to monitor their employees’ safety by automatically collecting environmental and health data such as noise levels and ear exposure times. But despite the leading-edge design, there was still room for improvement. Through Mitacs’ research fellowship program, EERS teamed up with Rachel Bouserhal, a postdoctoral fellow from École de Technologie Supérieure in Montreal. Using her background in electrical and audio engineering, Rachel developed an algorithm that, when programmed into the earpiece, enhances the sound quality of speech that is projected to the wearer. 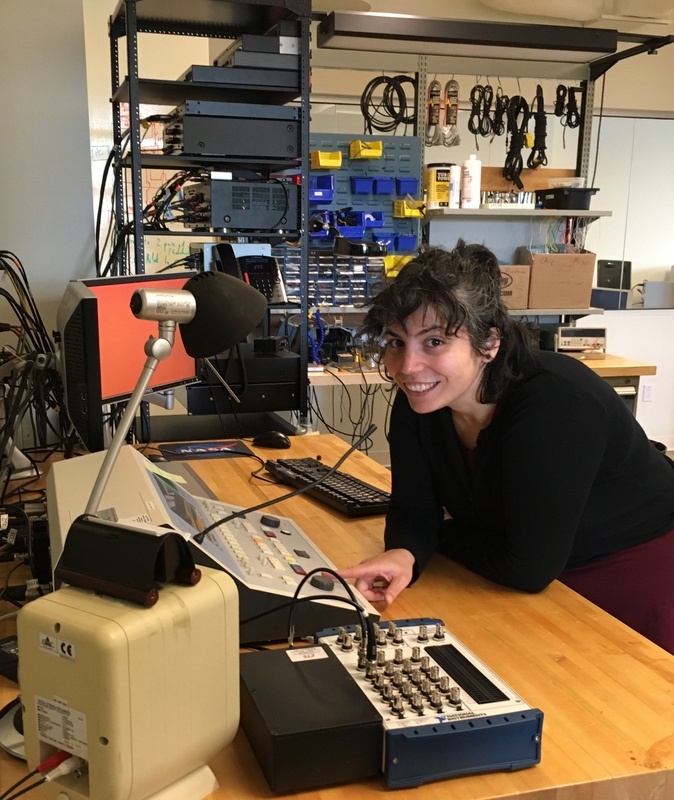 “My research will help improve sound levels in the in-ear microphone so that it provides clearer voices for better quality communication,” says Rachel. Following the release of SonX, EERS plans to further improve their product by exploring the possibility of using jaw movements such as chewing and speaking to power the ear plugs, thereby increasing the use life of the plugs. They also plan to incorporate a brainwave scanner that could detect what sounds on which the wearer is focused. Mitacs thanks the Government of Canada and the Government of Quebec for their support of the Elevate research fellowship in this story. Across Canada, the Elevate program also receives support from Alberta Innovates, the Government of British Columbia, the Government of New Brunswick, the Government of Newfoundland and Labrador, the Government of Nova Scotia, the Government of Ontario, the Government of Prince Edward Island, the Government of Saskatchewan, and Research Manitoba.